Make sure that the only fur and feathers you wear this winter are the fake kind! Fur. It looks adorable on animals and hideous on people. As a vegan, how I treat animals goes far beyond the plant-based food on my plate. 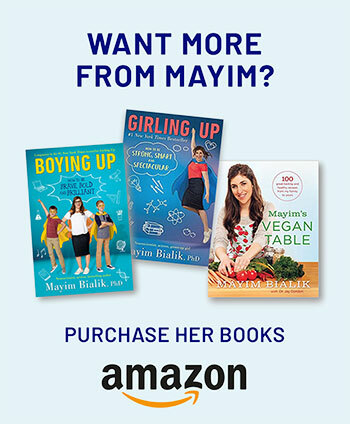 I also do my best not to contribute to their suffering and exploitation, and this includes the clothing I purchase and wear. Fur and feathers belong on animals, and unfortunately, there is no such thing as “ethically sourced” animal skins, despite what some companies may lead you to believe. Needless to say I was thrilled to find out that so many well-known brands have made the decision to go fur-free recently. Of course the end goal for animal activists is for companies to stop using leather, wool, and cashmere, too, but it’s a very good start! I have been campaigning against the fur industry since age 12, when I attended my first anti-fur demonstration in Toronto. Now, decades later, I so badly want to believe the future of fashion is fur free. Yet there is still a major disconnect. Here in Toronto, goose down-filled jackets with real coyote fur trim collars are sadly trending. The coyote fur trim is not at all necessary for warmth, it’s merely just a “fashion statement” that won’t die. And the truth about how these coats are made is beyond unsettling, from the trim (using head crushing traps to capture coyotes, separating packs and mothers from kids, etc…) to the goose down feathers that are stuffed inside the jacket (plucked by horrific and cruel methods). Thankfully, humane insulation alternatives are readily available, including Prima Loft, Plumtech, Nudown, Thermal R, Polyester, 3M Thinsulate, Climashield, Thermolite, Bamboo, Thermore, and even Monark Fiber from milkweed plants. The coyote fur trim can simply be zipped off from the jackets and McQueen collects the fur to donate to a wildlife or farmed animal sanctuary for animals in need. 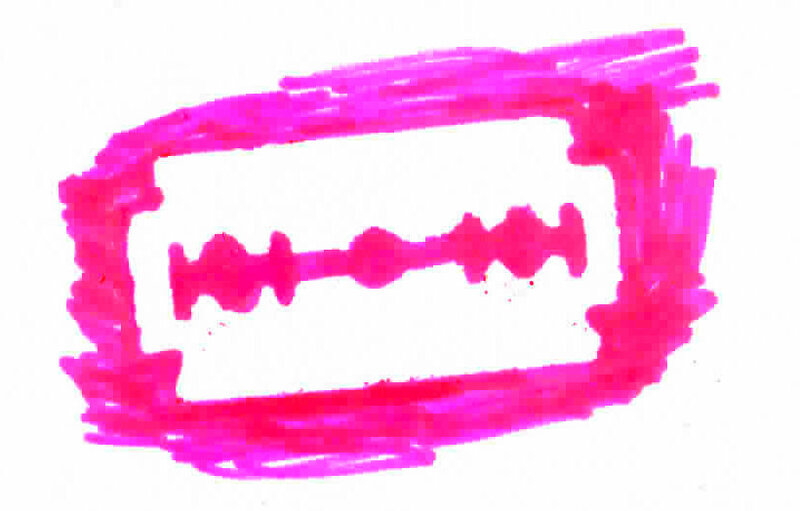 November 23 is Fur-Free Friday. It’s the perfect time to support companies that have already banned fur and feathers. Here are some of my favorite brands available in North America. Vegan fashion has got you covered. Let’s once and for all #MakeFurHistory. Noize is a PETA-approved cruelty-free outerwear brand designed in Montreal. 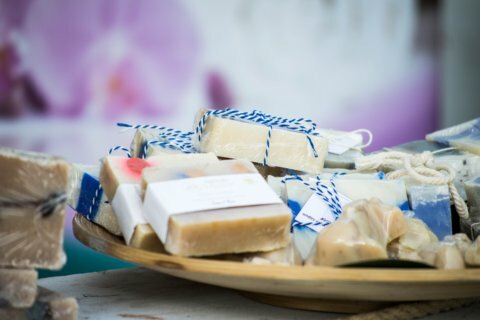 Their mission is to preserve our planet without using any animal products or byproducts. Noize uses vegan leathers and faux fur and all their outerwear is 100 percent feather-free. My Noize jacket (Hannah quilted parka) is seriously the warmest coat I ever owned. This year Noize introduced winter hats and scarves with animal rights themes if you really want to get your message across. 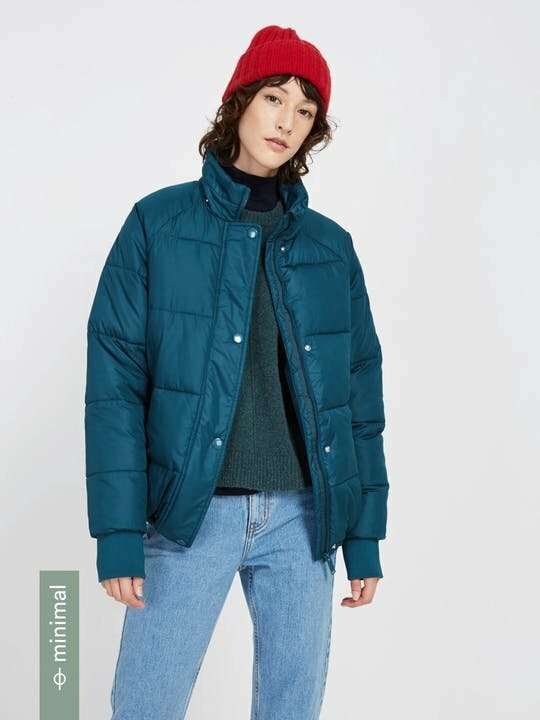 Purchase the Hannah Quilted Parka from Noize for $199. One of the fun things you can do with faux fur is liven it up with pops of color. Synthetic fabric is easy to dye so you can stay warm, stylish, and committed to caring about animals. 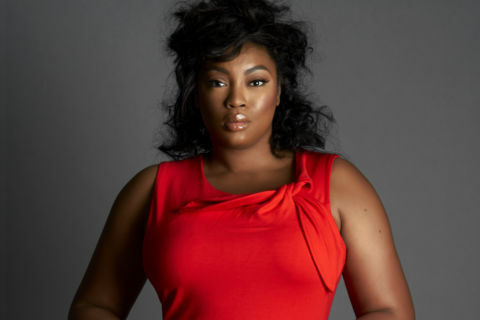 Popular plus size fashion label Ashley Stewart has a whole line of fun, fierce faux fur. Purchase the Two Tone Faux Fur Bomber Jacket from Ashley Stewart for $77. Should you be in the market to seriously splurge and want to show the world that faux fur is in style, check out the Champagne Waistcoat made with sustainable viscose. Stella McCartney believes that fashion can be luxurious without leather or fur and actively promotes her vast cruelty-free clothing line. Treat yourself and purchase from Stella McCartney for $1,925. Wuxly is a Canadian ethical lifestyle brand that makes super warm and stylish vegan winter coats. They don’t use fur or down and are saving thousands of lives by using innovative sustainable fabrics. Not only is Wuxly committed to saving animals with its work with animal charities throughout North America, the brand also uses fair labor and sustainability, right down to their VeganTech Shells sourced from a 100-year old company in Montreal. 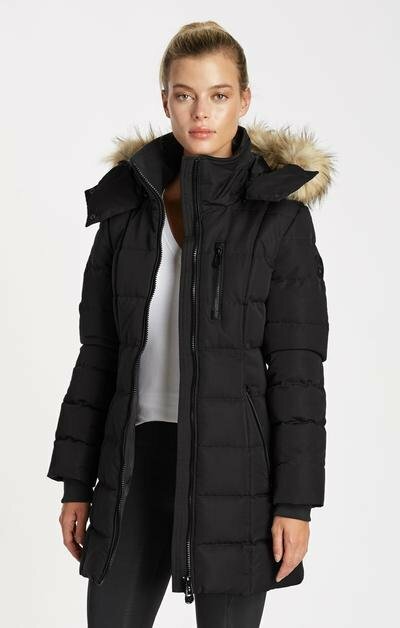 Purchase the Doe Parka from Wuxly for $649. Frank and Oak have a cruelty-free performance outerwear line made from recycled materials. Their goal is to use sustainable fabrics in addition to their sustainable practices throughout the supply chain. The Explorer Winter Puffer uses featherless down, polyester, and recycled 3M Thinsulate for their colorful water resistant jacket. Purchase the Explorer Winter Puffer coat from Frank and Oak for $199. For those on a budget, Wild Fable offers an adorable and affordable line of faux fur coats, ranging from warm and fuzzy casual coats to ones fit for a night on the town. And all made without any real animal fur. 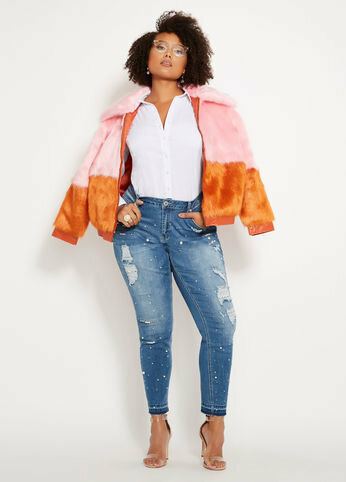 Purchase a plus-size Open Drape Cozy Faux Fur Jacket from Target for $35. HoodLamb uses hand-harvested hemp to make their cozy winter jackets and is totally free of all animal byproducts. This vegan-friendly brand believes hemp is crucial when creating sustainable fashion from natural resources. Each jacket uses their unique hemp fabric blends for comfort and quality. Purchase the Nordic Parka from HoodLamb for $548. Not only are they vegan, but Save the Duck has a Disney Collection. That’s right, this line is a tribute to Disney and jackets come with adorable comic cartoons of Donald Duck on the back. Made from 100 percent nylon, they are light and compact and can roll up to fit in your bag. All jackets are committed to sustainability and the company is involved in several charities. Purchase a Save the Duck coat at Bloomingdales for $398. Not all Bogs are vegan-friendly, but they do have several funky styles to choose from that are not made with animal byproducts. The Amanda Plush slip-on uses faux fur lining and a Max-Wick material that moves sweat away from your foot. 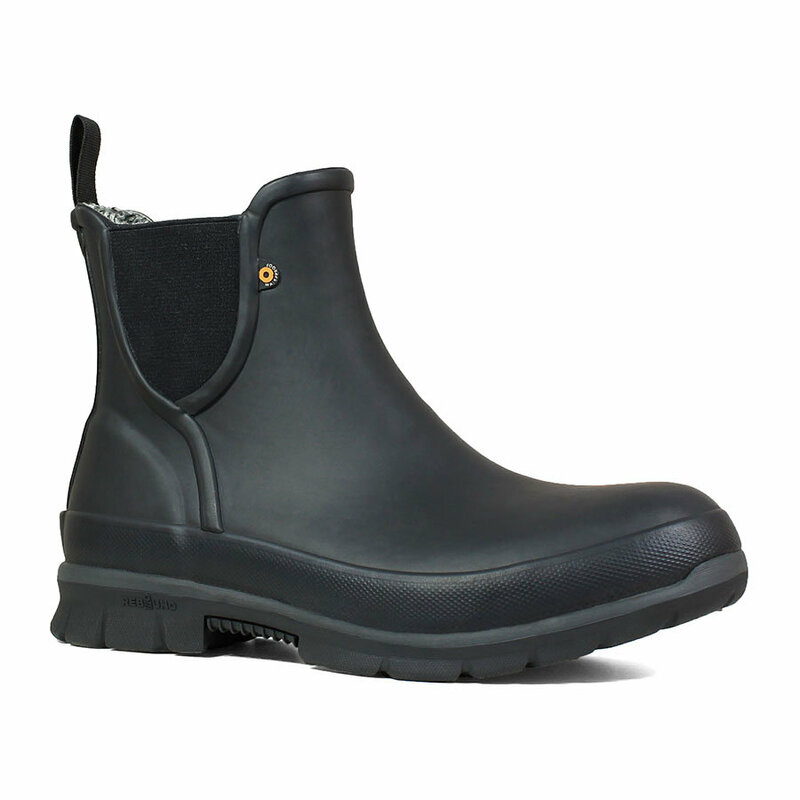 Since they are totally waterproof, you can splash around while your feet stay dry. Purchase a pair of Amanda Plush slip-on Bogs from Amazon for $82. The perfect solution to those other boots that are made from sheep is the California-based online store Fourever Funky. They sell only vegan fashion and are PETA approved. 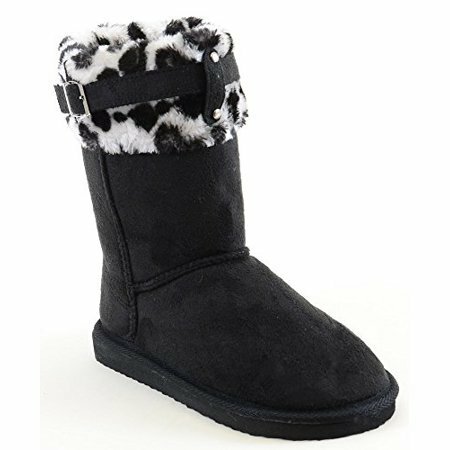 These super cute boots are made with a faux suede upper and faux leopard print. 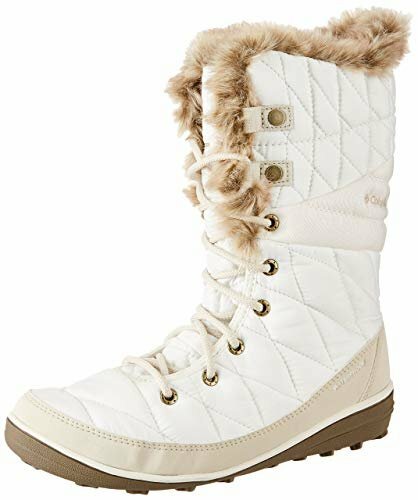 Purchase Fourever Funky boots at Amazon for $30. While not all Columbia boots are vegan, they do have several styles to choose from without animal products. The Women’s Heavenly Omni-Heat Lace Up Boot is perfect if you live in a snowy climate. 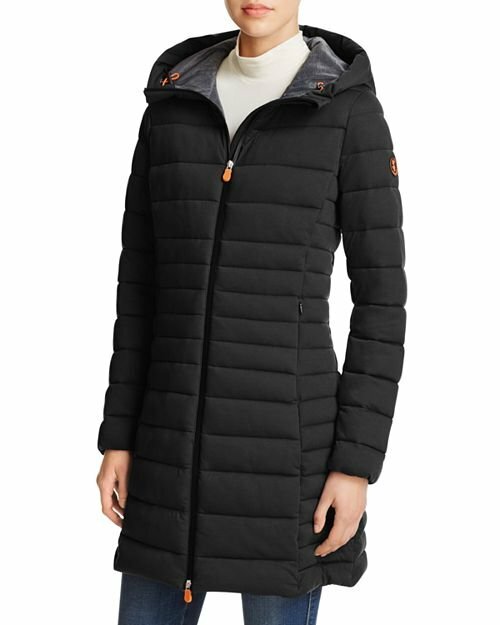 It’s made from Omni-Tech waterproof and breathable synthetic textiles with a faux fur collar. It’s rated -25°F/-32°C, so you can play in the snow all day and night. Purchase a pair of Columbia’s Heavenly Omni-Heat Lace up Boots from Amazon for $140. You need a vegan purse to go with your jacket and boots! I have used Jeane & Jax bags for years and love that the brand is committed to social responsibility and use ethically sourced materials. It’s another Montreal success story on a mission to create stylish high quality products without causing harm to animals. Their fall 2018 collection includes this adorable Virginie Hobo Bag with handy zippered pockets. 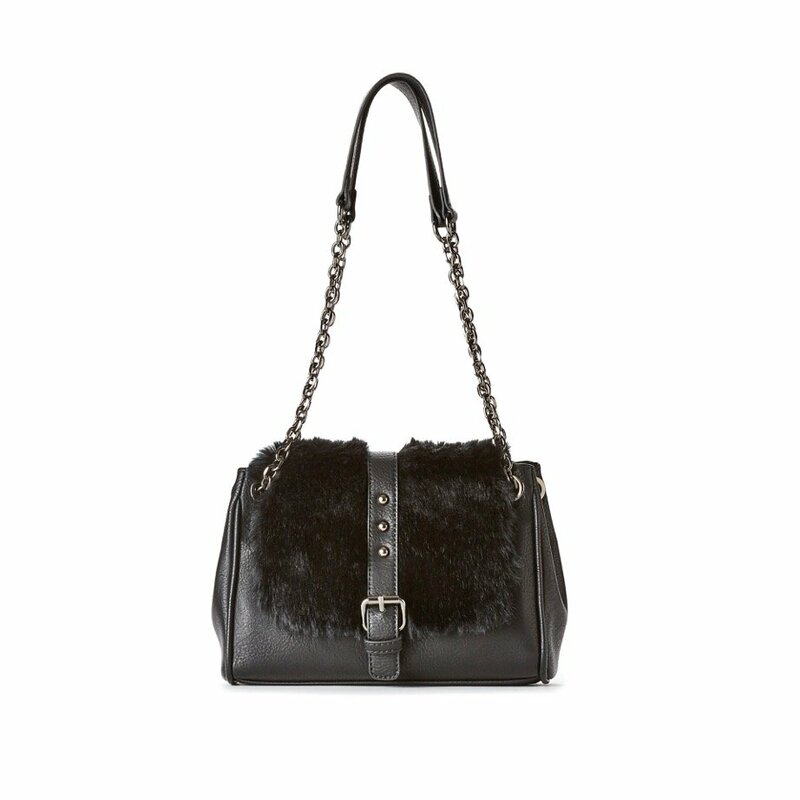 Or check out the Vegan Fur Chain Strap Bag with metal hardware. Purchase the Vegan Fur Chain Strap Bag from Jeane and Jax for $70.